Ugh. I hate blogging and a specific number of tips to get it done. Is Facebook teaching us NOT to talk? As I scanned the social media accounts owned by my clients the other day, I noticed open complaints that had been missed by a couple of my clients. I contacted the client, we formed a plan of action and implemented – happy customer! Yay! Taking offense: Of course you take it personally! It’s your business. You think… “she said WHAT on twitter / facebook / my blog!?!? !” and “Boy, was that mean!” – well you might have thought that with more descriptive words 😉 So this begs the question, “Do people have to be so mean / rude / un-understanding?” No, they don’t. But what are you going to do? I suggest keep your head on straight and remember your business and social media objectives. And don’t miss the opportunity to post the happy results from your clients next tweet- or your resolution with a thank you to the client for speaking up! Posted by bethkolar on November 29, 2011 in Facebook, Twitter. How are you using your Facebook business page to provide services to your followers? When I talk to clients using Facebook to reach people, they rightly express a desire to entice / encourage these people to spend money with them. I mean, really, why else would you BE there? Right? Well, yes and no. You do want people to spend money with you. It’s good for the economy (especially yours and the people who work for you). But let’s think back… why did you decide to sell what you are selling to begin with? (Disclaimer: IF you started selling whatever it is you sell because you thought it was something people would buy… I may not be talking to you.) BUT if your business or product started as a dream for something better – listen up! What WAS that dream? … and more importantly, where is it now? Have you forgotten it in the midst of promoting your wares? Fear, lack of purpose and lack of vision are absolute sales repellants. Re-find yourself. Re-find your dream. Promote THAT. Remember, it’s not an advertising tool, it’s a ‘service providing-information giving / getting – make the world better with what you have’ tool. Posted by bethkolar on November 15, 2011 in Facebook, Twitter. Yast recently ran a promo from their blog. They made it fun, interesting with blatant honesty. and @Yastdotcom Listened and then Rewarded. THIS is how you train your customers, fuel WOM marketing and provide a healthy open environment. 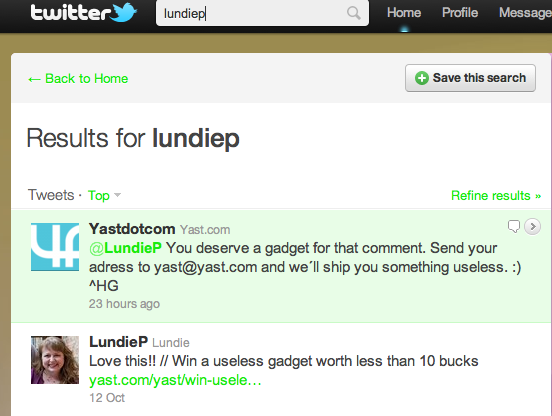 Now I have to use Yast because Lundie loves it so much AND they have great customer service. Social Media in your face! Posted by bethkolar on October 14, 2011 in Twitter. So, my friend, Jackie loved yesterday’s post about privacy settings and then asked me to check her page as someone else to see what it looked like. (To be sure she was locked down to her liking) So this is how you can see posts AS SOMEONE ELSE! 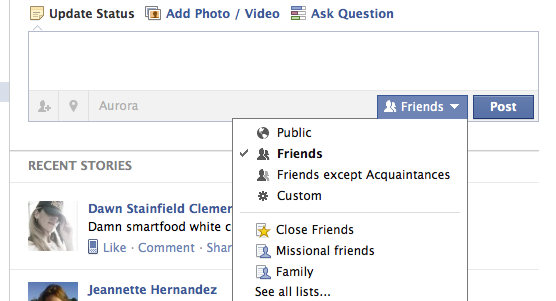 1 – Click on your NAME in the upper right hand corner of Facebook. This is your profile view of your wall… what your friends see when they visit. John is a great guy, but now he can ONLY see posts that are “Friends or Public” He is now only one step above “TOTAL STRANGER WHO MAY NOT SEE ANYTHING THAT ISN”T PUBLIC.” Sorry John. Do you see how my “Test Post…” is not showing above the “Had a chance meeting” post above? That’s it for now. If you found this post helpful, be sure to leave a comment letting Jackie know that HER questions helped YOU! Posted by bethkolar on October 13, 2011 in Facebook. Facebook Launches DEALS in Beta for Business Pages! I thought I heard a while back that fb was done with ‘Places’…. 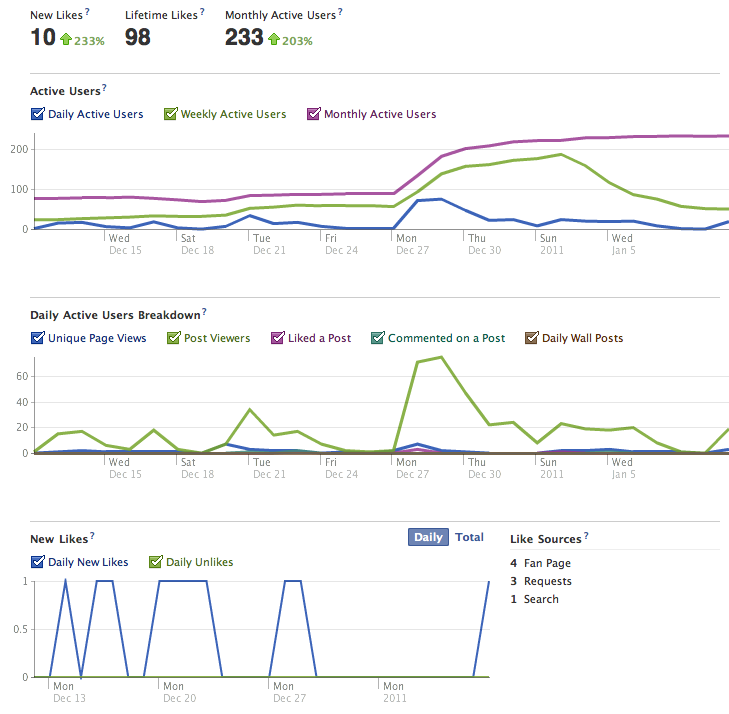 I must have heard wrong because today I saw an amazing site when I logged into one of my facebook pages! Select businesses can use their CLAIMED places page (let me know if you don’t know how to claim your places page) to offer deals to individual clients, groups, loyal clients or to donate to charities. This is pretty big news. I have been looking at Foursquare a lot more lately, for some of my clients, because I wanted to help them better get the word out about their locations and specials they are offering. BUT…. 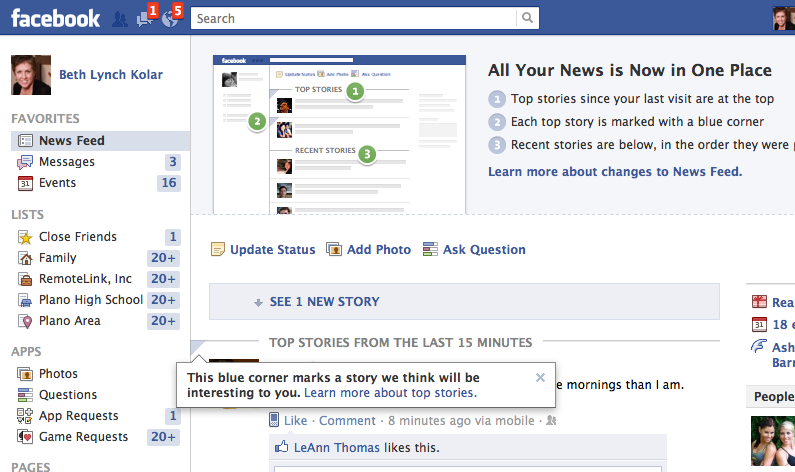 with an already huge established netword / database – Facebook takes the cake on this one! At the beginning of the F8 this year (is it every year?) Zuckerberg (parodied by SNL’s Andy Samberg) came out singing “All I do is win” and then said “We’re gonna change the Universe!” Facebook is one step closer, for sure. Posted by bethkolar on October 10, 2011 in Facebook. I want my stuff to be noticed. And you probably want the same, right? So there is this unending search for the right formula. But the science of marketing (Dan Zarella talks about this in the Science of Timing) is much like the science of medicine…you have Doctors, also called practitioners. We are all trying to figure out this thing called the human being and how it operates. So what do you think? Does this look like the way YOU interact with pages you have “Liked”? What are YOU looking for when you “Like” a page? Posted by bethkolar on September 15, 2011 in Facebook. 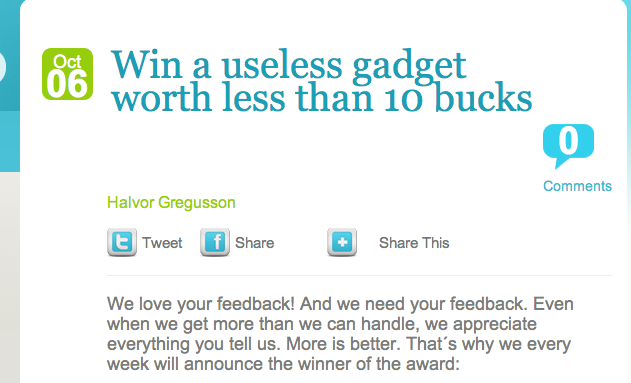 In my last post I talked about how people think that Social Media is a free way to push their sales message. But what they need is a reality check. They need to revisit WHO they are, WHY they are in business and start, instead of advertising, a branding campaign. I think ConAgra may be learning this message today. Read this post about how they asked bloggers to a dinner event with a top chef, but instead ignored the available facts about their target audience and fed them frozen lasagna. They also filmed the bloggers’ reactions secretly intending to use the footage in commercials at a later date. This is an example of inauthenticity. It’s frowned upon in the world of Social Media. And it back fired. Your message, no matter how cute, how important…. no matter how great your product actually is… will be muted, blocked, hidden, deleted or marked as spam if you are not connecting with your audience. No. You cannot connect or resonate with everyone. This is why it is important for you to know who YOU are, who your BRAND is, and how you want to represent yourself in public. Then simply let the people go who don’t like you or your stuff or the way you say it and engage with the people that ‘get’ you. Posted by bethkolar on September 7, 2011 in Facebook, Google+, Personas, Twitter.